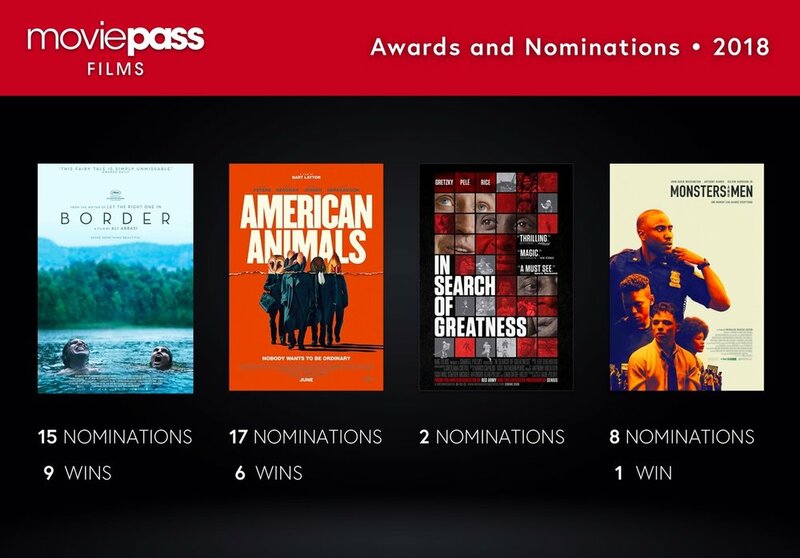 New York, NY, March 21, 2019 — MoviePass Films today recaps the awards the company’s films have been awarded and nominated for in 2018. Border, American Animals, In Search of Greatness, and Monsters & Men have collectively won 16 awards and received 42 nominations. These accolades highlight MoviePass Films’ dedication to investing in groundbreaking independent films that resonate with moviegoers around the world and we believe points to future success for the company. Helios and Matheson Analytics Inc. OTC:HMNY (“Helios”) currently owns approximately 92% of the outstanding shares (excluding options and warrants) of MoviePass, a premier movie-theater subscription service, 100% of the outstanding equity interests of MoviePass Ventures LLC, and 51% of the outstanding equity interests of MoviePass Films. Helios also owns Moviefone™, a multimedia media information and advertising service. Helios' holdings include RedZone Map™, a safety and navigation app for iOS and Android users, and a community-based ecosystem that features a socially empowered safety map app that enhances mobile GPS navigation using advanced proprietary technology. Helios is headquartered in New York and quoted on the OTC Market under the symbol HMNY. For more information, visit us at www.hmny.com.